It was in 2002, while purchasing a neighbouring domaine, the Château La Fleur des Graves, that we created a unique wine storehouse within Goudichaud. This wine storehouse is exclusively used for the wine making of the Château La Fleur des Graves. This wine storehouse is unique, its wine outstanding. The grapes, coming from the slopes, are treated with special care to obtain the best of our terroir. Besides the low yields (25Hl per hectare), the vines are disbudded, thinned out of their leaves and manually trained. 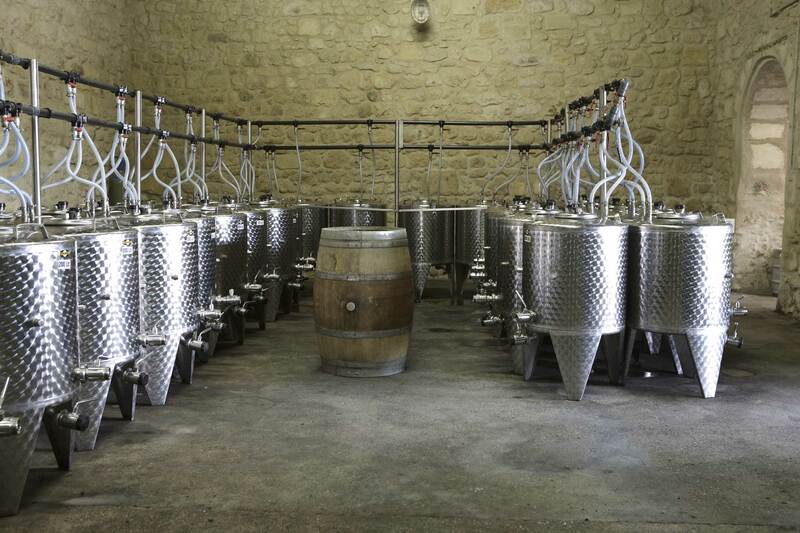 The wine storehouse is composed of 200 litre stainless steel vats (a barrel contains 225 litres), with temperature control. The small volume of the vats allows us to make our wine manually so as to rediscover in our wines the structure and the aromatic finesse, too often lost. This wine, unique in its elaboration and remarkable for its gustative qualities, is the reflection of our constantly improving savoir-faire.